People have historically believed in two kinds of necessary being. Non-religious philosophers such as Aristotle and Avicenna argued for the existence of a necessary being who is the necessary and volitionless cause of the universe. Religious believers, on the other hand–Muslims, Christians, and Jews–have held that the necessary being who made the universe is someone who freely chose to create it, that He is alive, and that He has knowledge, will, and power. This presentation gives evidence for why the religious believers are right and why the non-religious philosophers are wrong. “Why Islam is True” is a series of 40 short presentations that analyze the claim, “Islam is true,” by dividing it into a series of sub-claims and then evaluating their truth by examining the evidence for them, as well as the evidence against them. As they do this, the presentations explain the relationship between Islam and science; the fallaciousness of the arguments of contemporary atheists; the relationship between Islam and other faith-traditions; the role of prophecy in human history; the nature of life, death, and the human soul; and the purpose of human existence. While the presentations are all grounded in the traditional Islamic sciences—particularly the sciences of Islamic theology (‘ilm al-tawhid), Islamic logic (mantiq), Qur’anic exegesis (tafsir), and legal theory (usul al-fiqh)—their goal is to answer the questions that any open-minded and thinking graduate of a contemporary high-school or university—Muslim or not—would ask about Islam. The conclusion of this series of presentations is that God does, in fact, exist; that the Prophet Muhammad (God bless him and give him peace) was, in fact, His messenger; that He did, in fact, teach us the purpose of our existence on earth; and that we will, in fact, be resurrected after our deaths to stand before and be judged by God. 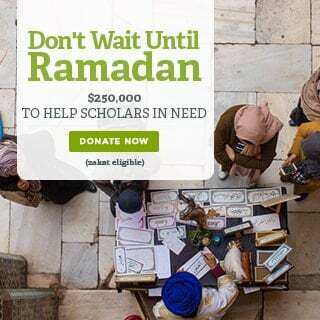 Shaykh Hamza Karamali is one of the teachers at SeekersHub Global. 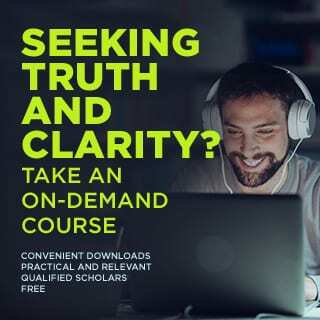 Visit (http://www.seekershub.org/courses) to register for one of his courses. All courses are free. You could also watch this series on YouTube with a slide presentation on this playlist: https://www.youtube.com/playlist?list=PL4mTEQpP9b5FBA1EtS22ev2Zm_KWEMfpE .